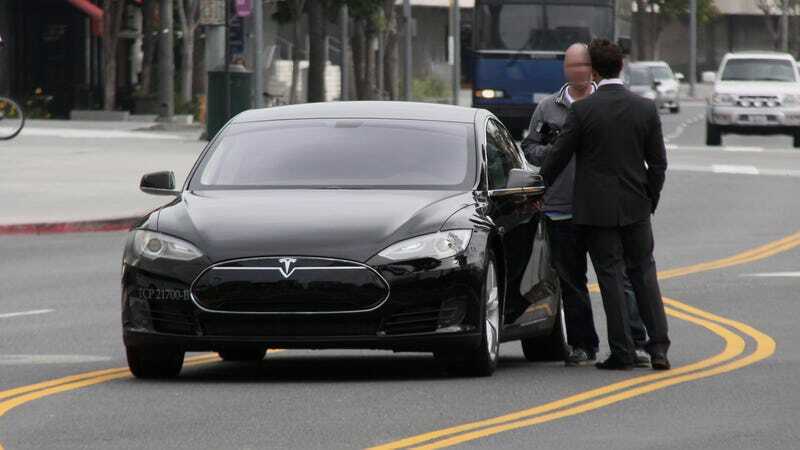 New York has the Nissan NV Taxi and now it appears that Los Angeles will get a Tesla Model S Taxi. Or at least one LA-based chauffeur company will. Are we looking at the true taxi of tomorrow? These shots come from what was believed to be an official photo shoot for Strack Transportation, who will be the first to test if an electric car can be a viable taxi solution. So far Tesla has one Supercharger in LA near LAX, but no current locations near downtown. The 85 Kwh model S carries a 265-mile range, which in most cases should be sufficient enough to provide a solid day of taxi service. The biggest challenge affecting the Model S will be traffic. In 2012, Tom Tom reported that LA was still the most congested city in the US and that Angelenos experience 40 minutes of delays for every hour driven in peak traffic. So what do you think, are electric cars the inevitable evolution of the taxi or will it remain limited to private car services? Can You Identify The Company Behind The Camo?